Summer is officially here and for once, we have the weather to go with it. This year is our first summer with Joshua so making sure we had everything we needed in the garden was pretty high on my priority list. 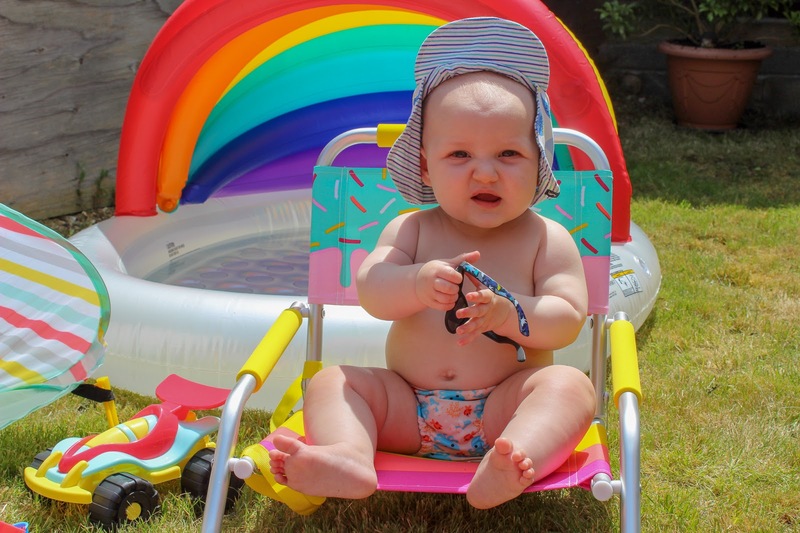 A paddling pool was essential but I couldn't resist everything else to go with it to make the perfect baby play area for our little squidge. There were two lifestyle and homeware companies I headed to first, Hema and Amara. 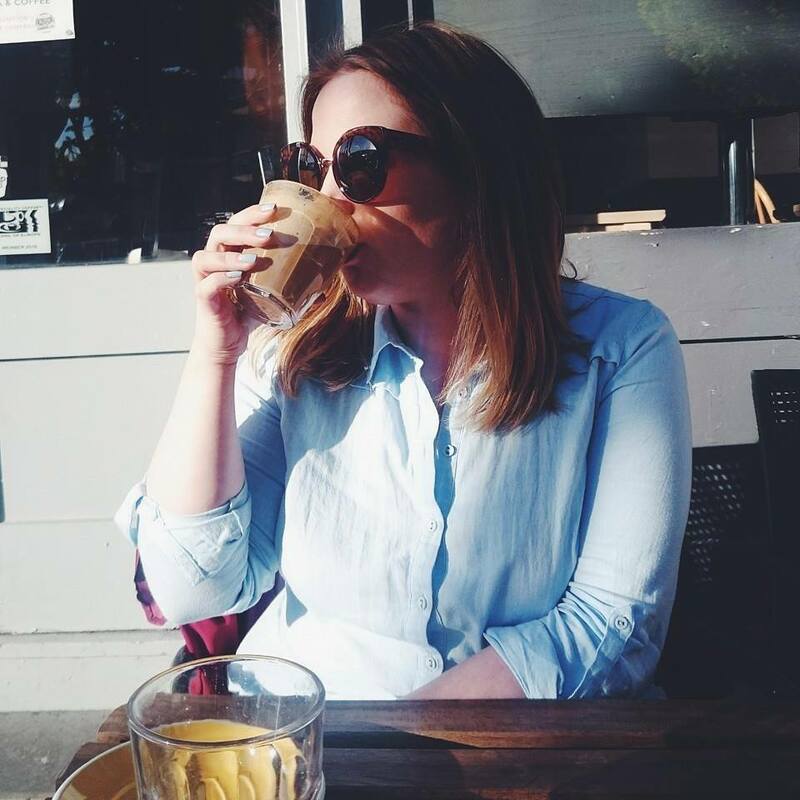 I've shopped with both for the last year or so and I adore their products. 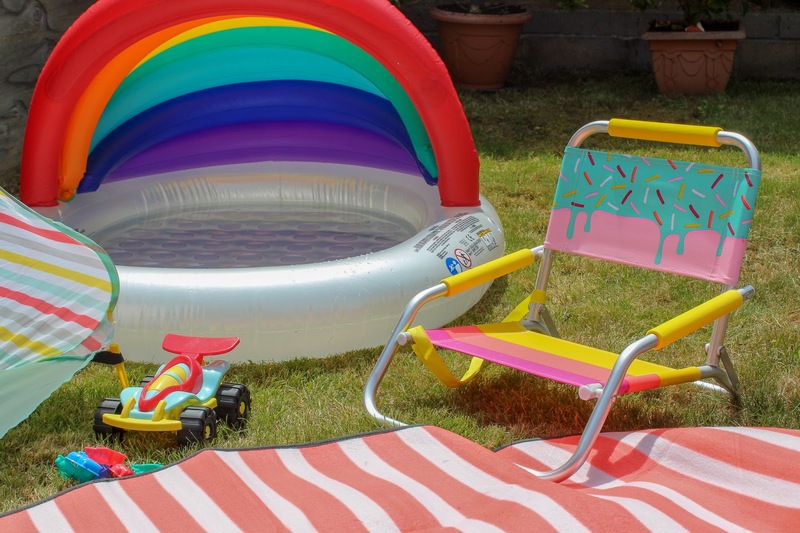 We already had a paddling pool for Joshua left over from a game at My Baby Shower but I really wanted one with a cover to shade him from the sun. 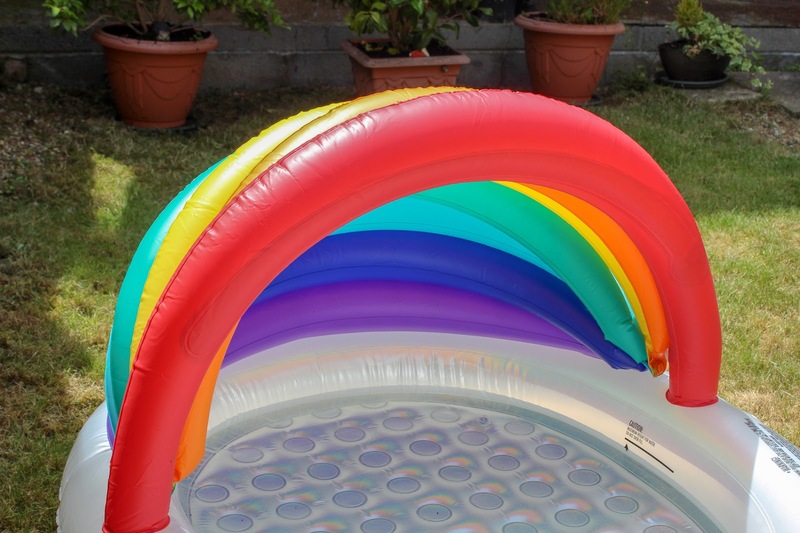 I found the Rainbow Paddling Pool by Sunnylife (£38.00) from Amara and well, look at it! 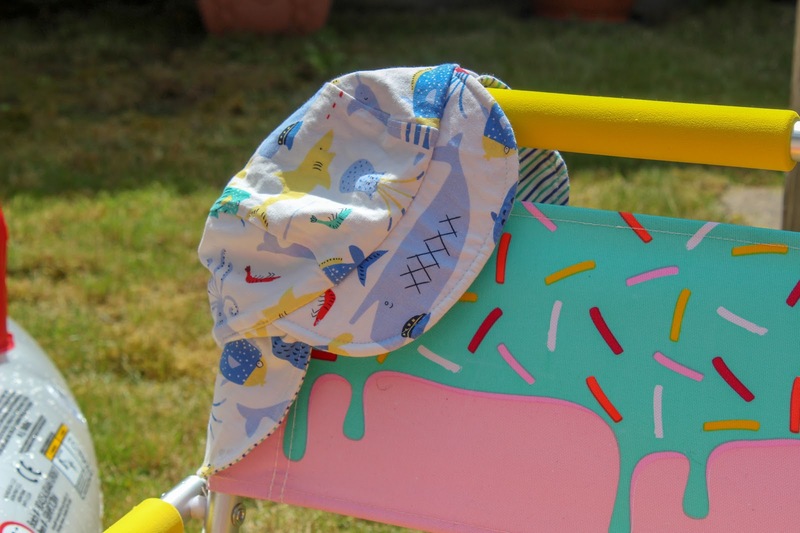 The rainbow sunshade helps protect Joshua and the padded bottom means he'll be comfy on his tooshie. The red band also turns into a sprinkler when you attach it to a hose! 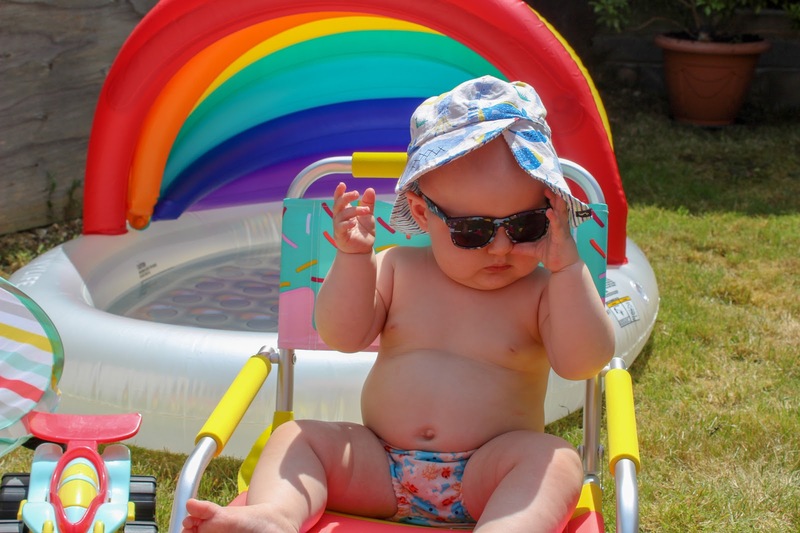 I'm a bit obsessed with Sunnylife which is an Australian brand so after I spied the Children's Lolly Beach deck chair (£32.00), Joshua had to have it because BABY IN A DECKCHAIR! 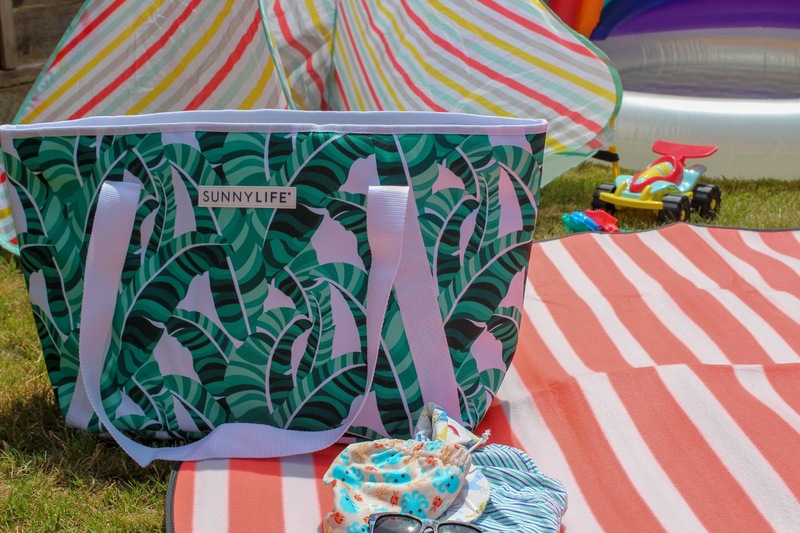 I also picked up the Sunnylife Banana Palm cooler bag (£32.00) to keep drinks and snacks cool. I love the palm print so much and I'm dying to add more of Sunnylife's products to our garden this summer. 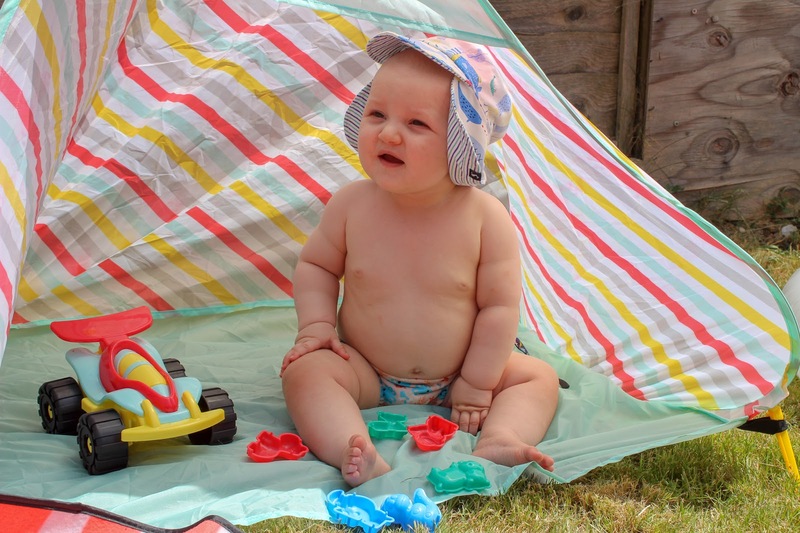 As well as a covered paddling pool, a beach tent was really important for us. I found the Beach Tent (£17.00) from Hema which flattens into a handy bag for storage. When you need to use it, you just take it out and it 'pops' out. It also comes with plastic stakes to keep it in the ground so it's fab for gardens, parks and beaches. 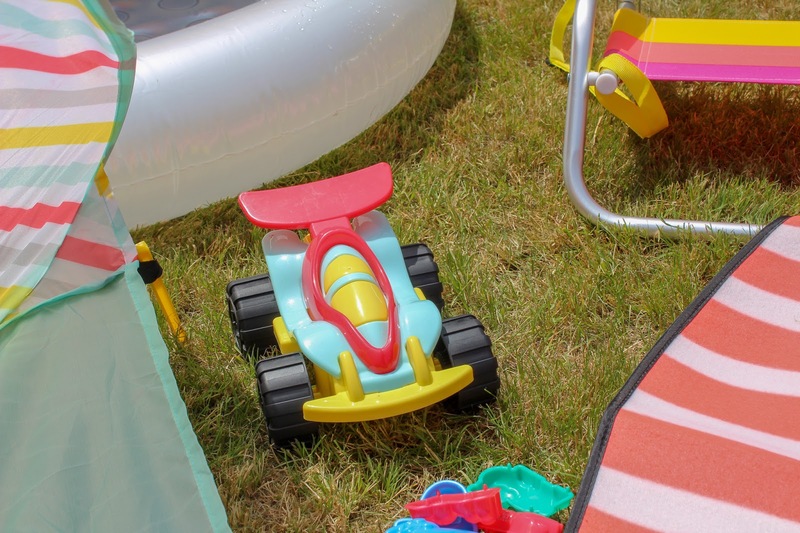 Hema has been our go to for a lot of Joshua's baby toys so I picked up a 6 Pack Sand Moulds (£2.25) which are also great for the water and a car which works in water or on sand. We also have the Fleece Picnic Blanket (£9.00) so we have something to sit on while we're on pool supervision. The round design makes it feel so much bigger than usual blankets. We've had such beautiful weather that we're really making the most of our new garden pieces and making lots of memories with Joshua. I'm just trying to decide what else we need, maybe an inflatable swan and watermelon string lights? Where do you shop for garden pieces? I am sooo happy about the weather, finally a summer we can enjoy! Awww how sweet does he look in his little chair!